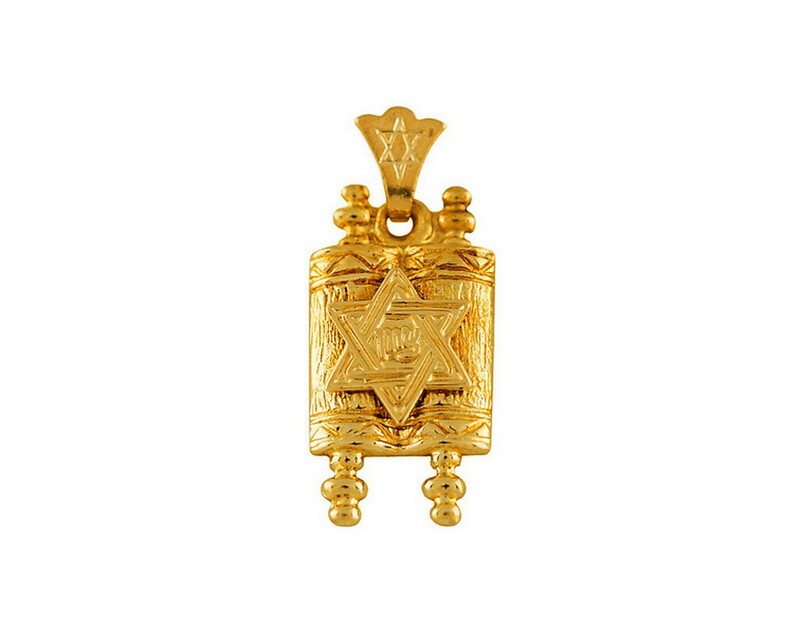 This magnificent 14k gold pendant is sculpted in the shape of a Torah scroll. In its center is a Star of David with the word ‘Zion’ in raised letters. Intricately designed with magnificent detail this gold pendant is sure to make a statement. Available in b oth yellow and white gold. Necklace chains are sold separately. To view our extensive collection of necklace chains, click here.